This really has nothing to do with my review, but I think it's kind of funny: As I started listening to Evolocity's self-titled CD, I marveled at the production, thinking "Wow, it's great to hear such a clean-sounding record." Then, about half-way through the CD, I found myself marveling about something else: "These are some of the dirtiest lyrics I've ever heard." As I said, this has nothing to do with my review; I just thought it was funny. Putting that aside, "Evolocity" is a solid rock record with some great melodies, driving guitars and a vocalist who really sings. 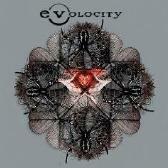 Easy to listen to, but with plenty of hard edge, Evolocity (the band) reminded me a lot of Tool while "Evolocity" (the CD) has much more variety than that comparison might indicate. There are big rock tunes ("Too Far," "Crutch"), token ballads (the amusing "Duh, Wayne") and bizarre ditties ("Herbie (Doesn't Like to Make Toys)"). There are also a bunch of simply serviceable flat-out rockers: Good news if you're looking for something safe and enjoyably listenable; bad new if you're looking for something a bit more progressive. Oh, yeah. About those filthy lyrics: Sometimes they're funny; sometimes they're just angry. Regardless, they are prominent here, sometimes to the detriment of the rest of the song. Evolocity: Jazz - lead guitar; backing vocals; Melon - bass; Aaron - lead vocals, guitars, percussion, backing vocals, pennywhistle; Raydn 1 - keyboards, sax, turntables, guitars, percussion, backing vocals; cor(e) - drums. For more information, check out http://www.myspace.com/evolocity.